The Apple HomePod becomes available on Friday 9th February 2018. 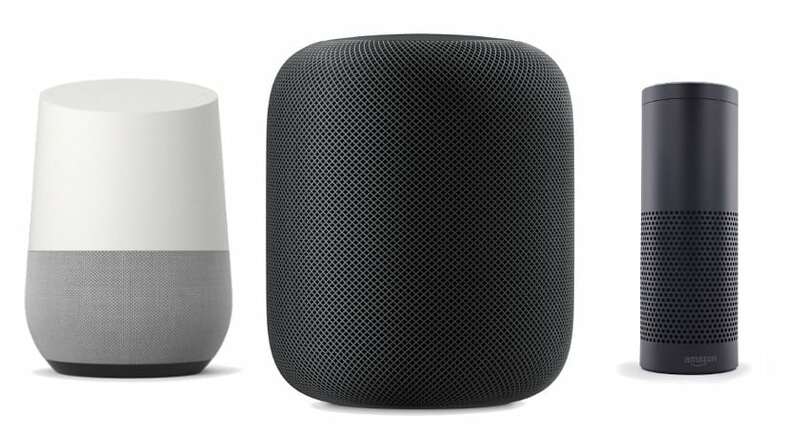 The Apple HomePod is up against some solid competition. Namely the Amazon Echo and the Google Home. The Apple HomePod brings together Apple Music and Siri in a compact, yet powerful speaker. No more navigating your iPhone for playlists and messing around with Bluetooth – just ask Siri to play something chilled, or catch up on TED Talks Daily podcast. Apple’s engineers have been hard at work, packing in an A8 chip for super-fast buffering, a custom amplifier for deep, rich bass, and seven tweeters so your music sounds amazing wherever you stand in the room. Not sure if you need an umbrella? Be prepared for your commute with traffic and weather updates from Siri before you head out the door. Stay up-to-date with the latest news and sports headlines and ensure you don’t miss anything important by setting reminders and tasks. It’s incredibly easy to stay in touch – send a text to let your friend know you’re on your way, or have a hands-free conversation by transferring a call from your iPhone. Set a schedule and automate multiple accessories at once – turn off the lights, switch off plugs, and turn down the heating when you’re ready for bed with a command like “Goodnight”. 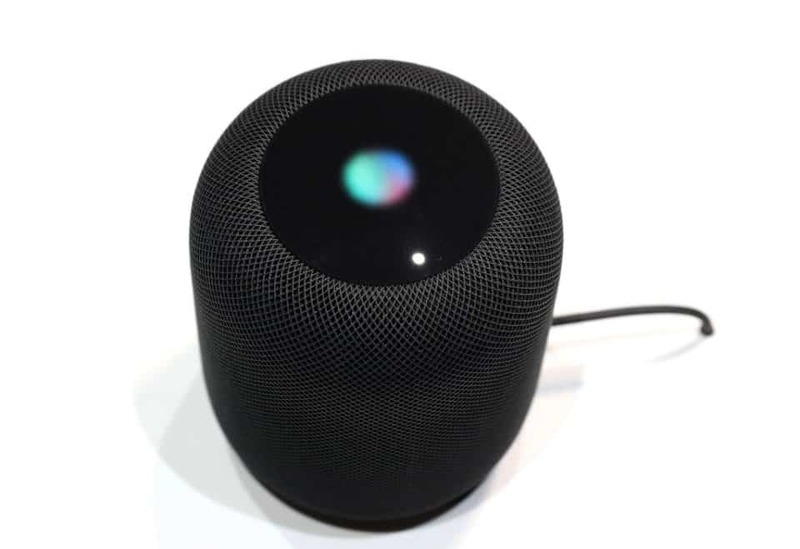 You don’t need to be a tech wiz to get the HomePod setup. Simply plug it in and your iOS device will detect it so you can get started easily. The modern, compact design won’t look out of place in any room, sitting neatly on your kitchen counter or bedside table. The HomePod intelligently adjusts the sound based on its location in the room, so you always get the best quality audio. There’s no need to shout either, it can hear your request from across the room, even when loud songs are playing.